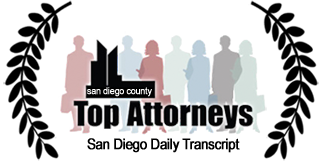 Another DUI accident in San Diego County claims the lives of two. 11 years. That was the sentenced handed down this week to a Navy sailor who drove drunk, then struck and killed an elderly couple as they took their daily walk. Earl Decarlos Smith Jr., 21, pleaded guilty in October to gross vehicular manslaughter. Police say he was driving east on Old Castle Road in Valley Center early in the morning on July 7th when his 2011 Toyota Corolla drifted to the right and struck the couple as they walked with their backs to traffic. Both victims died at the scene. Records show Smith’s blood-alcohol content was 0.12 percent, above the legal limit of 0.08 percent for driving. Officers testified that Smith was going 75 mph in a 55 mph zone and was distracted by his cellphone GPS when the crash happened. Nothing will make up for the loss of this elderly couple. But surviving members can and should get compensation for what follows. Surviving members in cases like this are left with not only their grief, but financial obligations as well as medical and burial bills have to be cared for. The Law Office of Steven Elia — a leading San Diego Auto Accident Attorney – has represented thousands of victims and victims’ families who have been involved in serious car accidents in San Diego and throughout Southern California. Let our team of experienced San Diego car accident lawyers help you get full and fair compensation for your injuries. 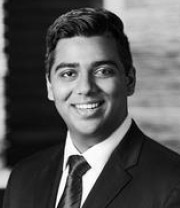 Our attorneys will do everything possible so you receive the best possible result. We’re tough litigators who boast a 98.5% success rate.